Justin Trudeau was announced as the 23rd Prime Minister, as the Liberals won a majority government Monday night … so what now for brokers? In the lead-up to the election, the Liberals made a number of promises that could impact the housing, and broker, industries, and these are the things brokers should be looking out for. “The Liberal Party is committed to restoring the long form census to ensure that we have the kind of data so that we can respond to local challenges like you speak of,” Trudeau said during a debate in late September. It would be a welcome change for the mortgage industry, according to one leading economist. 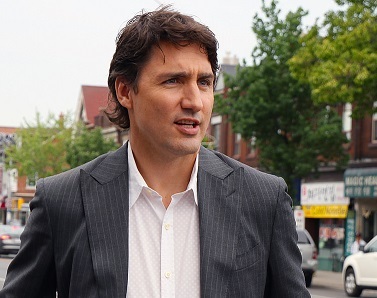 Trudeau announced in late-August, Trudeau pledged to double the current federal infrastructure spending, which could help bolster certain real estate markets. This promise, however, is contingent upon the global economy. “If the fiscal situation deteriorates due to a further slowdown of the economy in the weeks ahead, Liberals will be honest with Canadians about the facts,” Trudeau said during a speech at the time. The Liberals have proposed a new 33% tax rate for Canadians earning $200,000 or more. That will impact some brokers and, perhaps just as important, broker clients looking to purchase home. However, those who net between $44,701 and $89,401 could see their tax rate decreased from 22% to 20.5%. The changes to the lower tax bracket could be the most impactful for broker business. Many of that range will be first-time homebuyers and – as those who have taken advantage of the first-time homebuyer tax credit know – every little bit helps when trying to save money for a first home. The liberals won a majority government, taking 184 of the 338 seats. 170 seats are need for a majority.